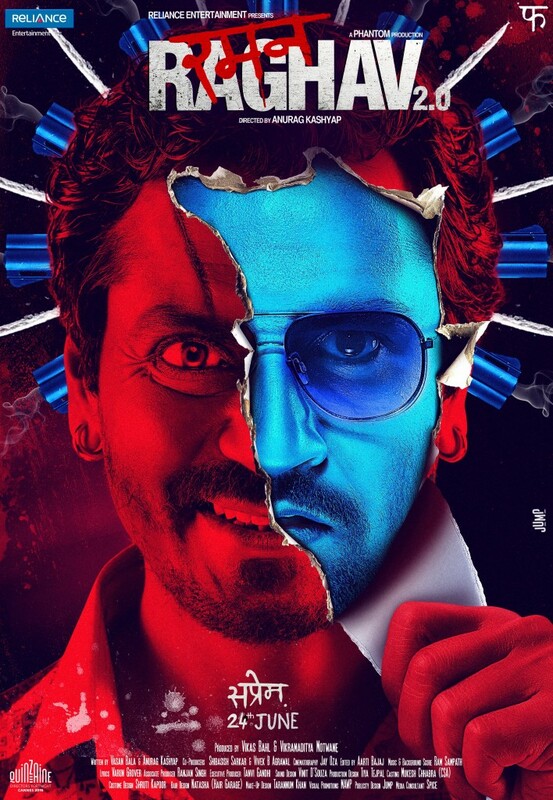 posted: Feb. 19, 2017, 6:59 p.m. | updated: April 24, 2017, 11:21 p.m.
description: A serial killer (Nawazuddin Siddiqui) stalks the drug-addicted detective (Vicky Kaushal) who's investigating his grisly murders. Look at the poster for this film. Look how quirky, creepy, weird, and scary it is. Now think of two such forces circling each other, finding what they are, coming to terms to it, and merging together in an invisible explosion of art and narrative. That is pretty much what Raman Raghav v2.0 is all about. The film starts in a very gritty setting. Its stars are Nawaz Siddiqui and Vicky Kaushal, who both dominate the screen and are so immersed in their characters that by the time the film ends, one blurs the line between acting and persona. Directed by Anurag Kashyap, the films meanders through some really realistic scenes of the slums in Mumbai, and takes an interesting look at the demon within. The story is narrated in chapters, each a step in the crescendo towards the climax, and it gets darker as it progresses into the psyche of the two characters. Whether the two are really different, or merely reflected mirages is something that is left as a mystery. The film forms a good example of how experimental cinema is progressing in India, but is probably not everyone's cup of tea. I'd recommend watching it just as an exercise in thinking.